Sarah Jessica Parker is one of my favorite actresses and most of the times, she gets an A+ for her fashionable style! She was on Late Night with Seth Meyers the other night and I had to do a double take because of all the sparkle! Yes, I’m a sparkle girl and I love anything that catches the eye lol. Sarah talked about role as a jazz singer for her new movie, Here and Now and personally selling her own shoes and the upcoming book. She looked fancy and I have the details on what she wore inside. Happy Friday be safe and have a great weekend everyone! 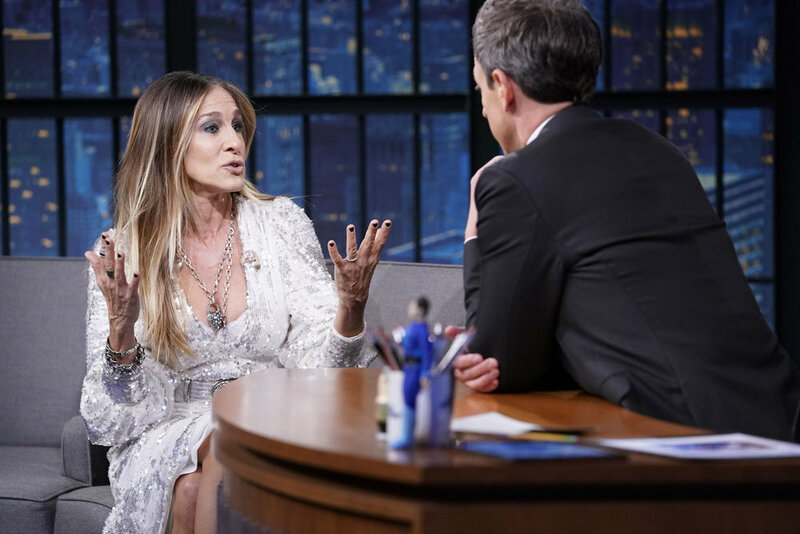 The post Wardrobe Breakdown: Sarah Jessica Parker On Late Night With Seth Meyers appeared first on Talking With Tami.